There are many options available for replacing missing teeth, and partial dentures are a popular choice. At The Diablo Dental Group in Danville, California, custom partial dentures can enhance your smile. If your chewing or speaking ability is hampered by missing teeth, the expert dental team evaluates your needs and may recommend partial dentures to improve your oral health. Learn more about the benefits of partial dentures by calling the office or book an appointment online today. Partial dentures are an alternative to dental implants for replacing missing teeth. This type of treatment uses a removable appliance that contains an artificial tooth or teeth made of resin and porcelain. The prosthetic teeth attach to a gum-colored base that connects to your natural teeth to anchor it in place. The Diablo Dental Group team creates a custom-fit denture using the latest technology to produce a mold of your mouth. This ensures your dentures are the right shape and size to fit comfortably. Wearing a partial denture not only enhances your smile, but it also prevents the shifting of your natural teeth. What can I expect wearing a partial denture? It can take some time for you to adapt to the feel of the denture in your mouth. During the first few days, it may feel awkward or uncomfortable. Over time, however, you will get used to wearing the device and will enjoy the immediate benefits of replacing your missing teeth. Initially, you may need to change your diet, limiting tough or sticky foods, until you adapt to the denture. However, you should notice it’s easier to eat and speak with your new teeth. Over time, your partial denture may need adjustments to ensure a good fit. 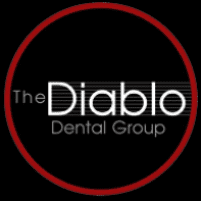 The Diablo Dental Group staff can assist you in scheduling appointments to monitor the condition of your denture and make fit adjustments as needed. Let your dentist know when your denture no longer feels comfortable without delay. How do I care for a partial denture? To remove bacteria and food debris, it’s important that you remove your partial denture daily for cleaning. The Diablo Dental Group staff recommends a safe, effective denture cleaner to disinfect the device before each use. You also need to schedule routine dental exams and cleanings to keep your mouth and smile healthy. The staff recommends cleanings every six months and annual X-rays and dental exams to promote good oral health. Rely on the expertise of The Diablo Dental Group for custom treatment plans to replace missing teeth with partial dentures. You can book a consultation online or by calling the office today.